The Toyota Tundra is essentially defined by its smooth and powerful V-8 engine and Toyota may be keen to keep it that way. 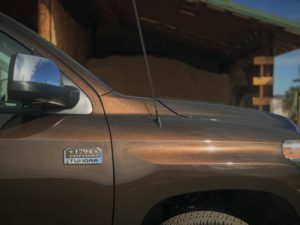 Compared to its full-size competition, the Tundra isn’t going to win the ride and drive contest but Toyota’s legendary reputation for durability and retaining value proved overly convincing for nearly 120,000 customers last year. Toyota’s Entune infotainment system is quick and logically laid-out though graphics are outdated. Being a top of the line full-size pickup, this 1794 Edition carries an expected high price tag. 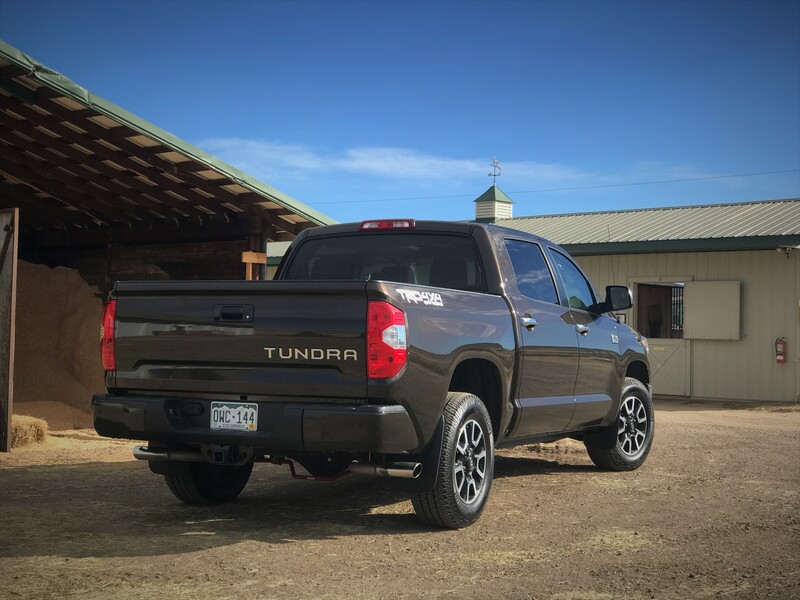 In the Tundra’s case, its $54,000 isn’t as expensive as its direct competitors though it also lacks key features such as Android Auto/ Apple CarPlay and proximity entry. Getting past those omissions, the top Tundra trim is notably equipped with Toyota’s active safety equipment, 12-way driver seat with thigh extension, a 4.2-inch driver information display, heated and ventilated front seats, and a 7-inch infotainment touchscreen that plays through a 12-speaker premium audio system that is plenty capable though it lacks the clarity or crisp bass punch. A powered slide-down rear glass is a segment-unique feature while a large sunroof adds to the fresh air experience. 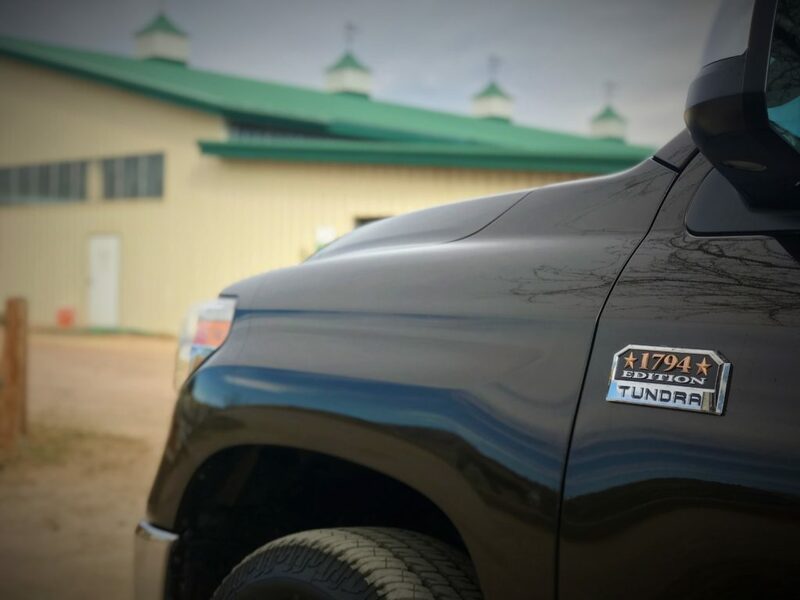 The Tundra’s LED headlights cover a good distance and can be angled downward to maintain proper angle when hauling heavy loads. 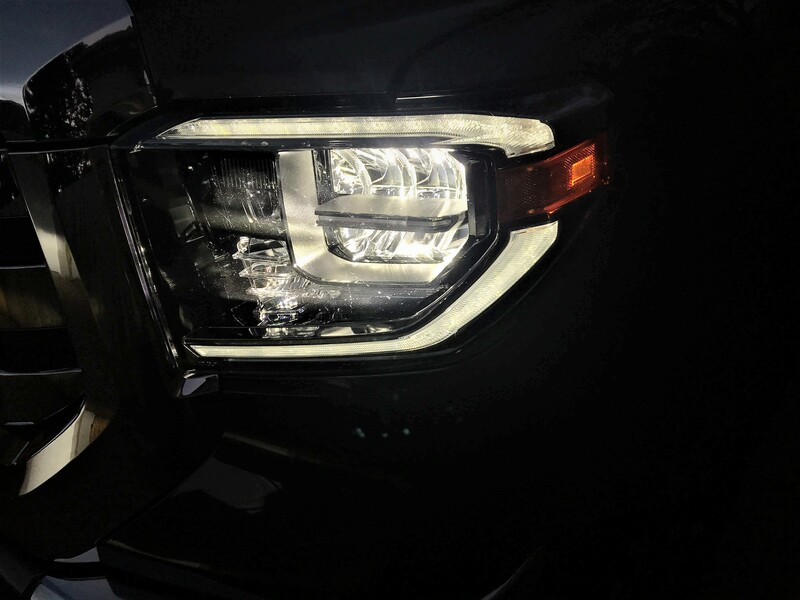 LED headlights with angle adjustment, a dampened tailgate, and power-folding heated mirrors are exterior highlights though they also indicate the trucks aged platform. Its competitors do one better with active headlights, tailgate lift assist, and auto-folding exterior mirrors. 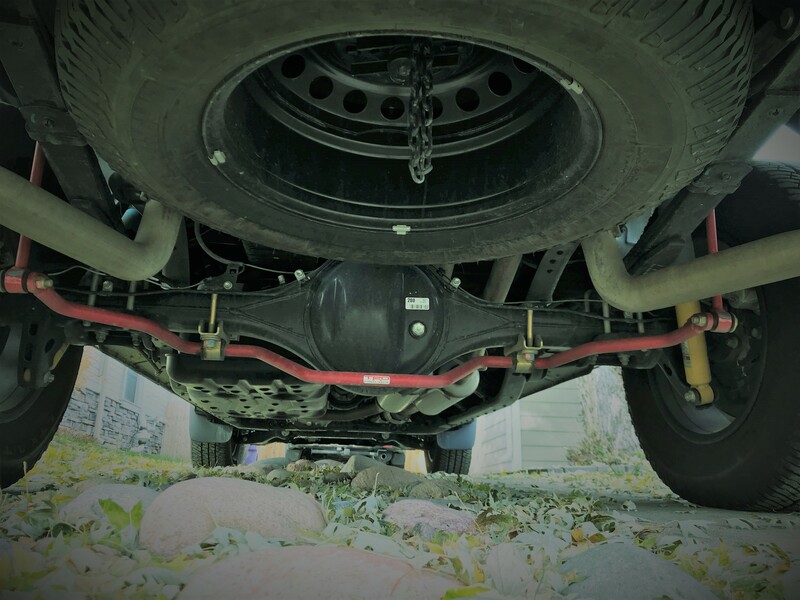 My test vehicle additionally included a sport-turned rear sway bar, performance exhaust, and a less restrictive intake system. About $42,000 can net a 4-wheel drive, 5.7-liter V-8, crew-cab in SR5 trim though alloy wheels and bucket seats are extra cost items. 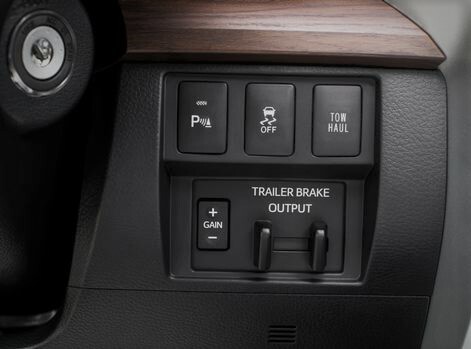 An integrated Trailer Brake Controller, Tow/ Haul Mode, and Trailer Sway Control help for safer towing. Toyota is not making exceptions in its application of active safety equipment across the lineup. 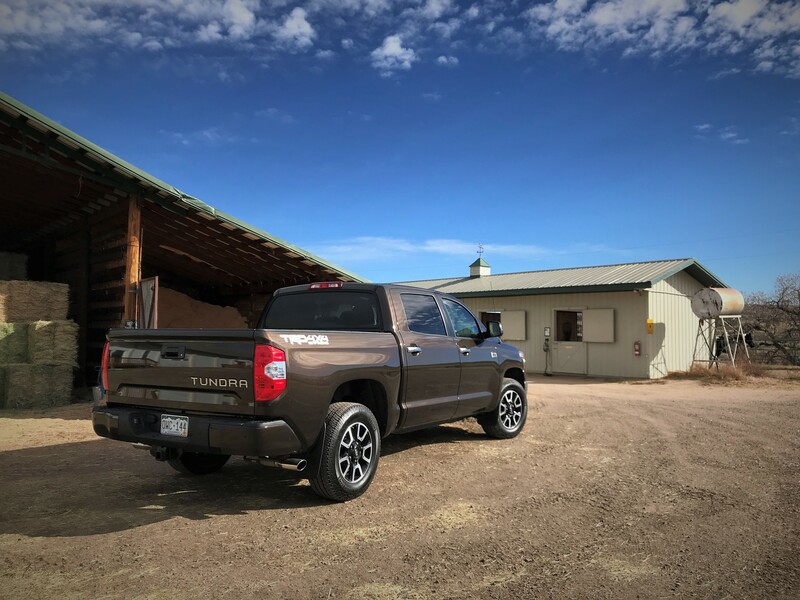 The Tundra features the brand’s Toyota Safety Sense P – the P designates the system’s ability to detect and react to pedestrians – includes emergency braking, active cruise control, and lane departure alert. 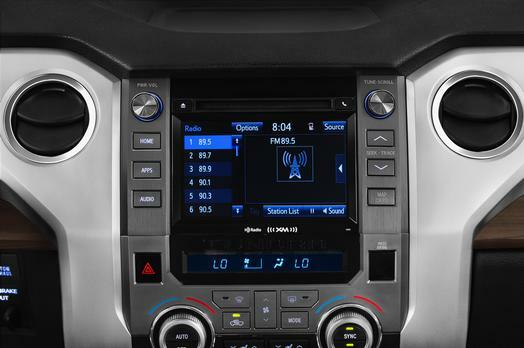 The truck also features towing safety aids such as a tow/ haul mode, trailer sway control technology, and trailer brake system monitor display in the driver’s display. The blind spot monitoring system is tied to the rear cross traffic alert system and are standard on the 1794 Edition. 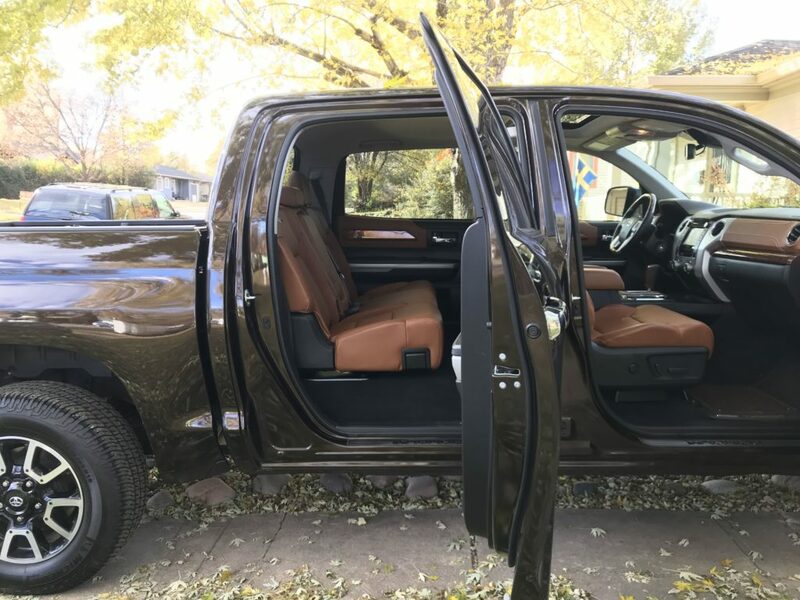 “That’s a pretty truck” was the most common phrase that I heard while showing off this sparkling brown 2019 Toyota Tundra 1794 Edition CrewMax. 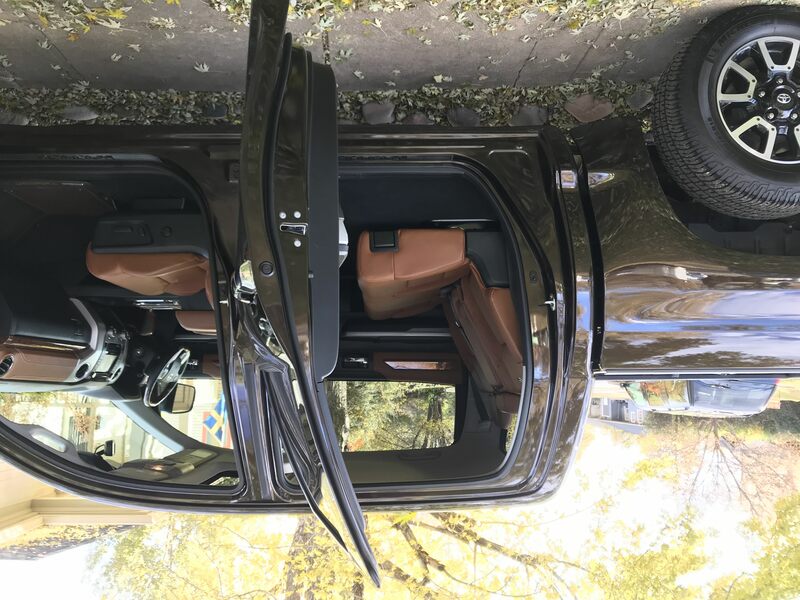 This trim is the top of the line next to the Platinum trim and is fully pointed to compete with the F-150 King Ranch and Ram Laramie Longhorn with a ranch themed interior. The exterior receives a healthy dose of chrome slapped on the front grille, bumpers, mirrors, and door handles. The 1794 Edition name comes from the Ranch upon which Toyota purchased and built their San Antonio plant for the Tundra and Tacoma. 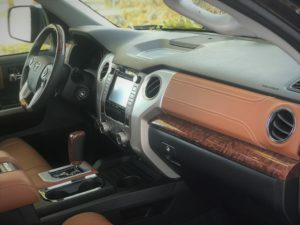 The 2018 Toyota Tundra receives a revised instrument cluster that features blocky shapes to match the updates seen to the exterior several years ago. A large steering wheel is also blocky in shape and includes robust-feeling buttons but it is partially covered in an unconvincing wood appearance. The brown leather seats contain suede-like inserts and present a western theme though not as convincingly so as its competitors. 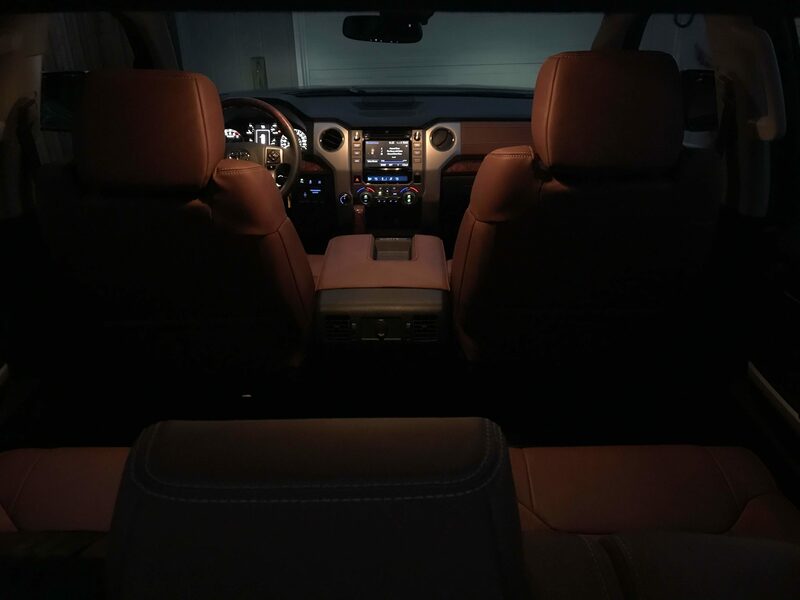 The brown leather is also applied to the center console and passenger side dash. 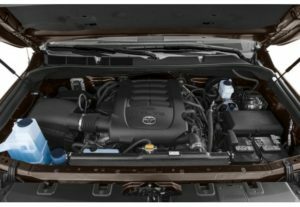 The Tundra’s 5.7-liter V-8 is a powerful engine that makes powerful sounds but it all comes at the expense of efficiency. Achieving greater than 16 mpg would have been quite the feat despite the EPA’s ratings of 13 mpg city, 17 highway, and 15 combined. Those figures are a few notches worse than the V8 offerings from Ford and Chevrolet. Not helping that situation are the Toyota TRD performance exhaust and intake ($425 and $725 respectively) systems may cause complaints from rear passengers but from the driver’s seat, it is enjoyable whether running up to redline or lopping along the highway at 1,600 rpm. Despite this truck’s massive size, it is actually easier to navigate in traffic than its smaller brother, the Tacoma. Good outward visibility, blind spot monitors (standard on all trims), and great on-center steering feel allow for confident commuting. Power comes on immediately when needed as there are no turbos to spool or necessary 4-gear downshifts and then there’s always the TRD exhaust that announces your presence to other commuters. Another noteworthy TRD add-on is the rear sway-bar that helps settle any wallowing sensation and tippiness going around turns. 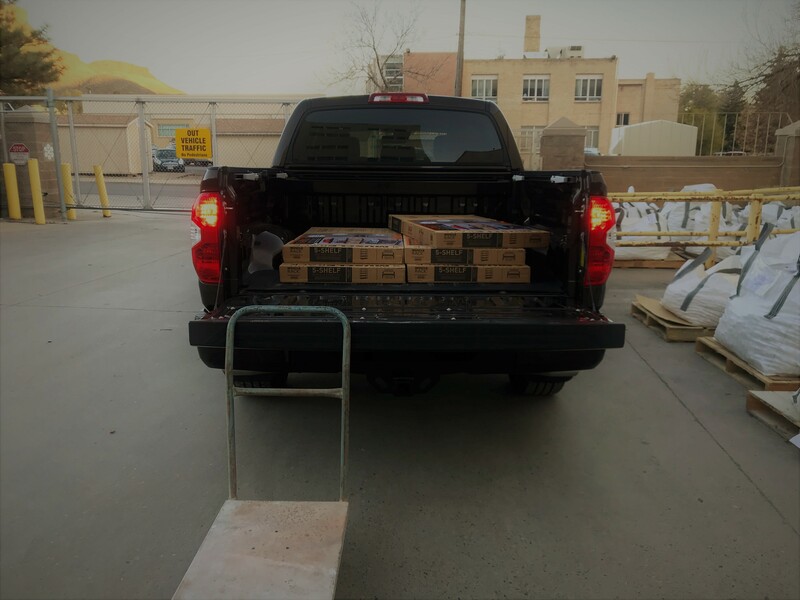 Though it is quite effective at controlling body roll, this and this 5,700 lb pick-up truck and its slow steering ratio clearly didn’t have canyon carving as a top priority. During everyday commuting, the 5.7-liter V-8 and six-speed transmission go about their business to deliver a smooth and linear acceleration. When called upon, the engine has no qualms about revving to redline and sending all 381 horsepower and 401 foot-pound of torque to the pavement. The brakes are natural feeling and provide enough force to rapidly bring down the speed of the Tundra yet delicate enough for stop-and-go traffic. The adaptive cruise control system is well suited for two-lane highway cruising and goes about its business with little drama. The large V-8 with 4WD earns a disappointing 13 mpg city, 17 mpg highway, and 14 combined and in my week long possession, anything greater than 15 mpg proved elusive. A 38-gallon fuel tank helps achieve a respectable overall range though. The deep bed means a long reach over the tailgate. A Tow/ Haul mode and integrated trailer brake controller help with heavy towing duties while this fully optioned truck receives an 8,800 lb tow rating though 10,200 lb is possible when properly configured. That rating is within about a thousand pounds of a similarly equipped competitor. Its 1,530 payload rating is also on the lighter end of the class average. Toyota is quick to admit that the Tacoma is more off-road minded than the trail smashing Tundra and indeed, many of the Rocky Mountain off-road trails are too narrow to accommodate a full-size truck. Regardless, Toyota still offers the TRD Off-Road package with Bilstein shocks and additional skid plating. A part-time four-wheel-drive system is notably lacking an Automatic setting to allow for use on dry pavement. 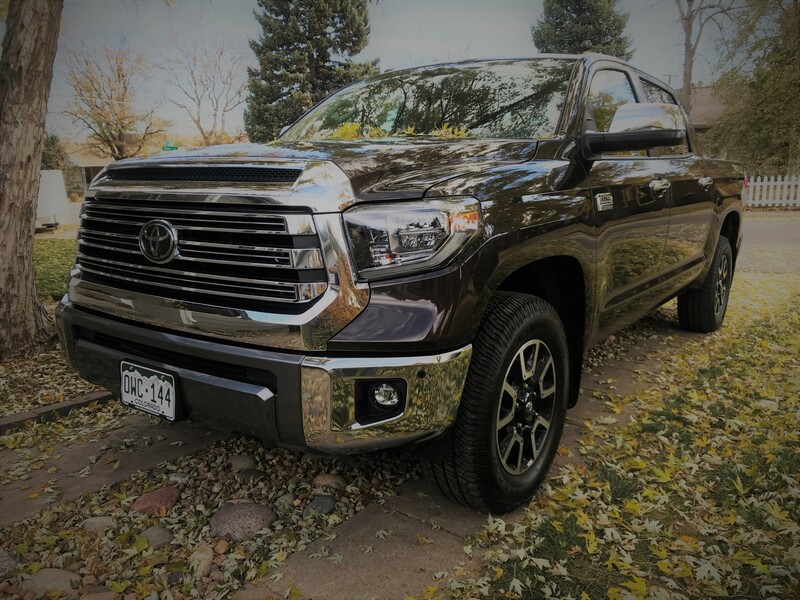 The Toyota Tundra is the oldest full-size on the market and it falls short of the best in the segment in terms of ride and interior features. But factor in its smooth V-8 and strong resale value, the Tundra stands poised to withstand the test of time.